At L’Ami Junior Nissan, we have a used vehicle inventory that’s sure to have the car you’ve been dreaming of. When purchasing a pre-owned vehicle, it’s important to know you’re paying for a reliable vehicle that will maintain its performance for many years to come. 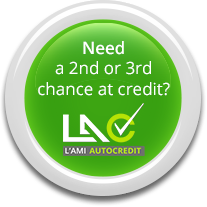 That’s why the experts at L’Ami Junior Nissan are dedicated to finding the right vehicle for you with an affordable financing plan. L’Ami Junior Nissan has a large inventory of pre-owned vehicles that have undergone a rigorous inspection to ensure exceptional performance and reliability. No matter what vehicle you choose, you can trust that it has been inspected and fixed up to the highest of standards. Not only do we have a wide selection of pre-owned Nissan vehicles in our inventory, we also have a large selection of vehicles from other manufacturers as well. At L’Ami Junior Nissan, we have it all. When you purchase your next pre-owned vehicle from us, you can purchase it with confidence and trust. Not only does L’Ami Junior Nissan have reliable pre-owned vehicles for every need, we have financing solutions for every situation as well. At L’Ami Junior Nissan, we like to help you save and make your next vehicle as affordable as possible. Not only do the experts in our financing department work to give you the most affordable rates on pre-owned vehicles, our special offers are there to help you get the best deals available. Stop by L’Ami Junior Nissan today to browse our large inventory of used vehicles.